The perfect security solution for smaller apartments on upper floors. Break-ins in apartments situated on the upper floors usually take place through the entrance area. Protect your home with a door and motion sensor. It immediately registers if someone opens the door or moves in the room. A siren sounds if a break-in is suspected. The perfect security solution for single family homes and ground floor apartments. With a door sensor and a motion sensor coupled with two window sensors, your home can feel safe and secure. You will be informed as soon as something is opened or someone moves in the room. The solution with a WiFi indoor camera for larger apartments and houses. Different sensors give your home the highest levels of security. Here a Wi-Fi indoor camera shows you exactly what’s happening at home. The siren as an effective deterrent. This enhancement to the Gigaset alarm system immediately triggers an alarm if a break-in is suspected. 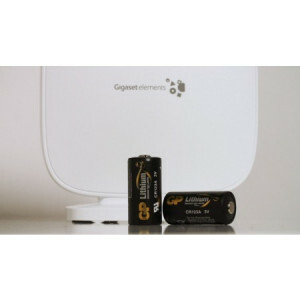 The siren can be operated manually using the button or via the Gigaset elements app. The Gigaset smart camera reliably monitors every room – even when it’s dark. 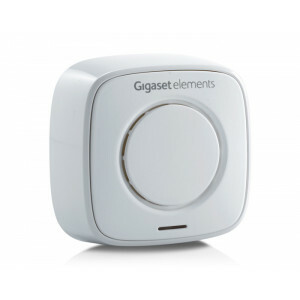 It can be used as a stand-alone solution or as a complement to one of the Gigaset elements alarm systems.